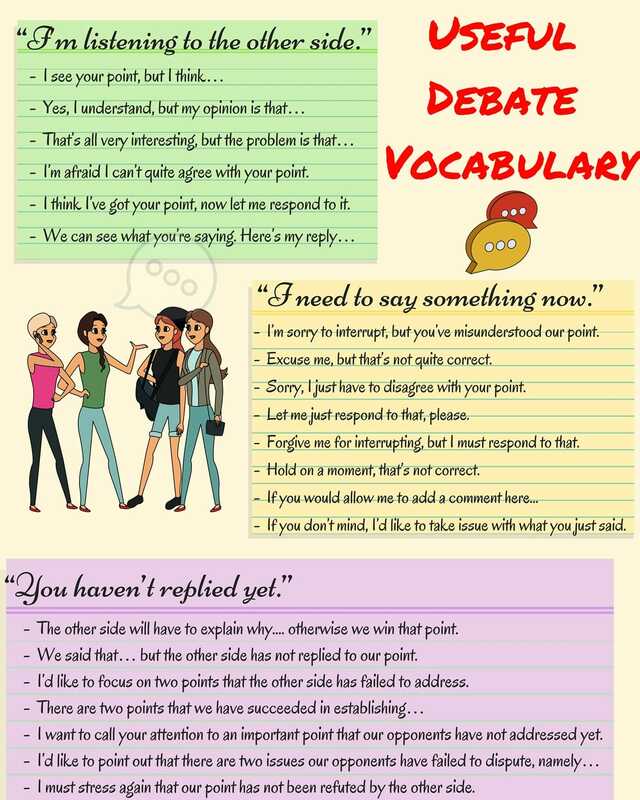 Learn vocabulary and expressions for debate and group discussion which are useful for ESL students. – I’m afraid I can’t quite agree with your point. – I think I’ve got your point, now let me respond to it. – I’m sorry to interrupt, but you’ve misunderstood our point. – Excuse me, but that’s not quite correct. – Sorry, I just have to disagree with your point. – Let me just respond to that, please. – Forgive me for interrupting, but I must respond to that. – Hold on a moment, that’s not correct. – If you don’t mind, I’d like to take issue with what you just said. – The other side will have to explain why…. otherwise we win that point. – We said that… but the other side has not replied to our point. – I’d like to focus on two points that the other side has failed to address. – I want to call your attention to an important point that our opponents have not addressed yet. – I must stress again that our point has not been refuted by the other side. 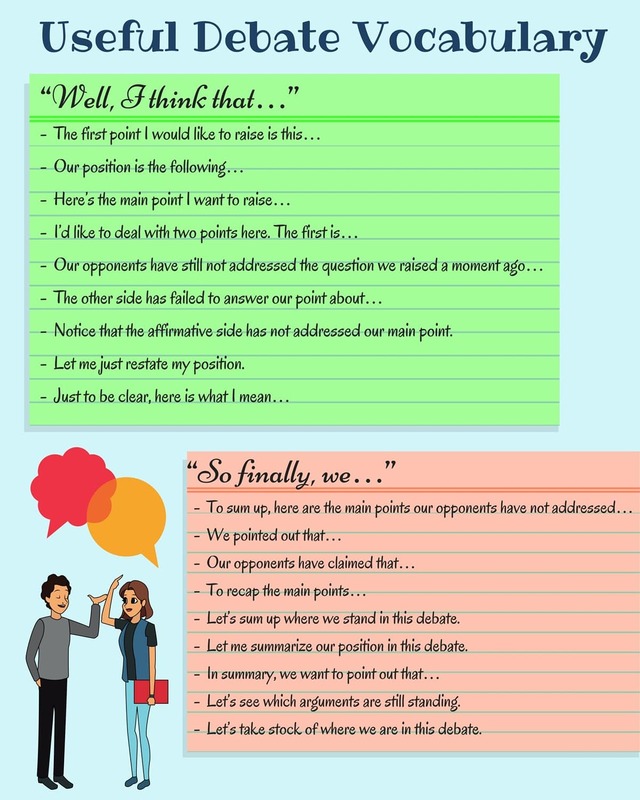 – Notice that the affirmative side has not addressed our main point. – Let me just restate my position. – Let’s sum up where we stand in this debate. – Let me summarize our position in this debate. – Let’s see which arguments are still standing. – Let’s take stock of where we are in this debate.